The head of the Federal Trade Commission said Tuesday a federal law against oil company price gouging would be difficult to enforce and could hurt consumers by causing fuel shortages. FTC Chairwoman Deborah Platt Majoras said the courts have refused to address the question of what is a "reasonable" price and it may be difficult to determine what price hikes are legitimate. The commission "cannot say that federal price gouging legislation would produce a net benefit to consumers," Majoras told a Senate Commerce Committee hearing, adding that "price gouging is difficult to define." Sen. Mark Pryor, D-Ark., told the FTC chief that she seemed to be "equating price gouging with price fixing" and expressed skepticism that a federal law could not be enforced. Pryor and Sen. Gordon Smith, R-Ore., challenged Majoras' suggestion that consumers might be harmed by a federal price-gouging law, saying state laws have benefited motorists. But Majoras said if a retailer believes he might be prosecuted and go to jail for raising the price too high, he "might just let the gas run out ... and shut down." She said the price spikes after Hurricane Katrina last year resulted in more fuel getting to market. Lawmakers, searching for ways to respond to gasoline at $3-plus a gallon across the country, have indicated in recent weeks support for a federal energy price gouging law. The House already has passed legislation imposing such a law, and senators are drafting similar legislation. Twenty-nine states have price-gouging statutes, but they vary widely and some go into effect only in an emergency. Senators of both parties lashed out at the oil industry at Tuesday's hearing for the sharp price increases at the pump, questioning whether the prices are legitimate. "There's something really fishy here," said Sen. Trent Lott, R-Miss., suggesting that the industry is using the excuse of normal supply-and-demand economic theory "as a cover to defend bad conduct." "How about some companies taking a little less profit" and showing "some restraint," Lott lectured an industry witness. Bob Slaughter, president of the National Petrochemical and Refiners Association, cautioned lawmakers against "engaging in a fruitless search for questionable quick-fix solutions." 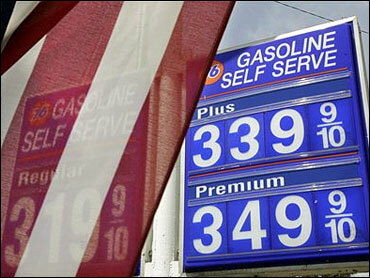 "The gasoline market today reflects supply and demand, and the arithmetic is not complicated," said Slaughter. He said a federal price-gouging law, because of its "inherent ambiguity," will be interpreted by many as an intent to impose price controls. Mark Cooper, research director at the Consumer Federation of America, said oil companies are not only cashing in from the global run-up in crude oil prices, but are also making huge profits from refining. In the first quarter of this year the "spread" between crude oil costs and prices at the pump soared to more than 30 cents per gallon for gasoline and was more than 40 cents in April. The spread is the difference between what refiners pay for crude oil and what the refined produce sells for at the pump and includes not only profit but also refining and other costs. "What other industry behaves like the oil industry (where) when the cost of the raw material increases, their profits multiply?" Pryor asked the FTC's Majoras. She suggested the timber industry. "You don't see their profits going through the roof," responded Pryor. But the report — mandated last September — found only one gas-station owner, who is not named in the report, who intentionally tried to cash in, CBS News correspondent Dan Raviv reports. The other 14 retailers noted in the report had raised prices out of confusion — they were not being malicious, the FTC says. The report concluded that that gasoline price spikes after Hurricanes Katrina and Rita last year were legitimate and reflected market conditions. "The (oil) firms behaved competitively," the agency said in a report after concluding a lengthy investigation. Sen. Daniel Inouye of Hawaii, the committee's ranking Democrat, said Tuesday that he was not convinced by the report. He said it does not explain why gasoline jumped to $6 a gallon in Atlanta after the hurricanes, twice what was then the national average. The report "does not convince me that consumers were treated fairly," Inouye said.